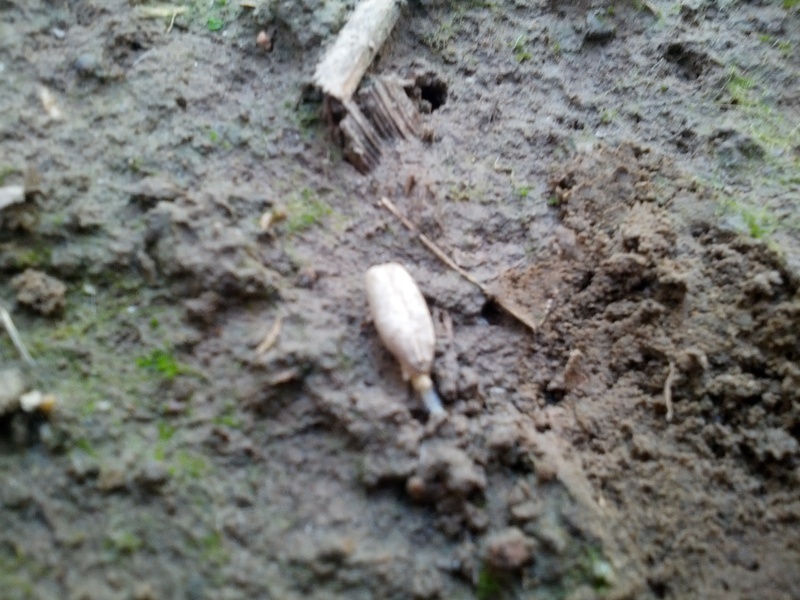 This entry was posted in Environment and tagged corn, Cover Crops, soybeans, sustainable, weather. Bookmark the permalink. Glad to see you so excited and educated about your covers. 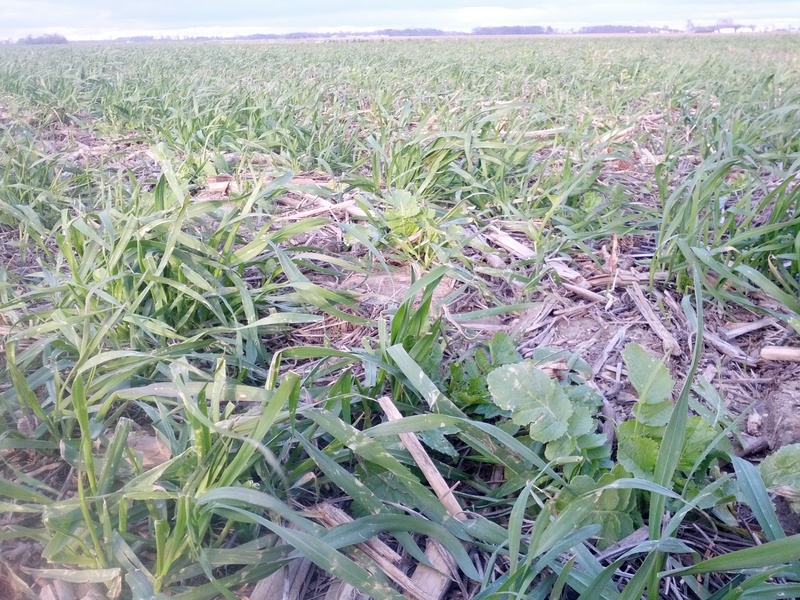 Our Feb 19th #IRT13 meeting will have a farmer panel discussing advanced cover crop management. One farmer is from Oregon and grows Annual Ryegrass for cover crop seed. Rodney Rulon and Dan DeSutter will also be on the panel. I think you’d enjoy this meeting for multiple reasons! Daryl there’s a very good chance that the farmer from Oregon is connected to my friend Marie who just left a comment herself. That ryegrass came from her farm! 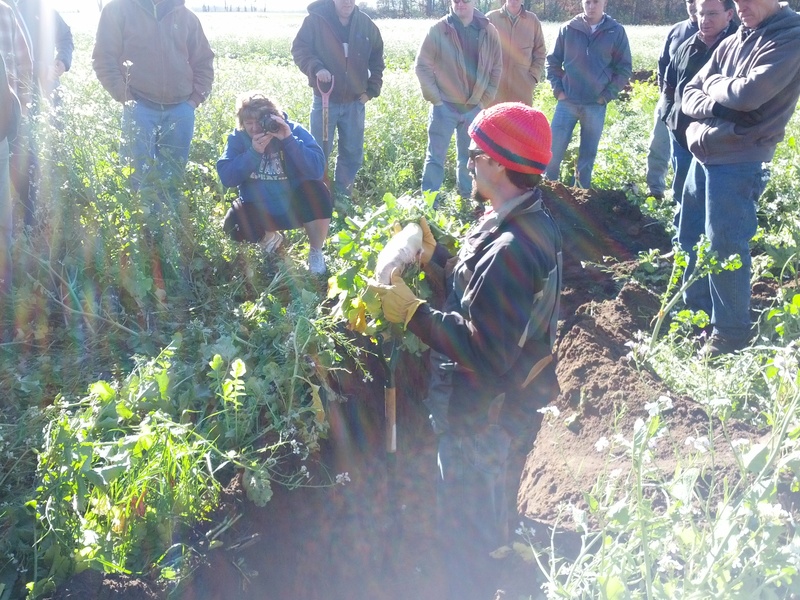 Just read an article in the Ohio Farmer about radishes as cover crops… made a lot of sense! I think it’s great. Keep up the good work! The radishes didn’t grow like I wanted, but we sowed about 2lbs/A radish seed in with our winter wheat in a 15A plot. 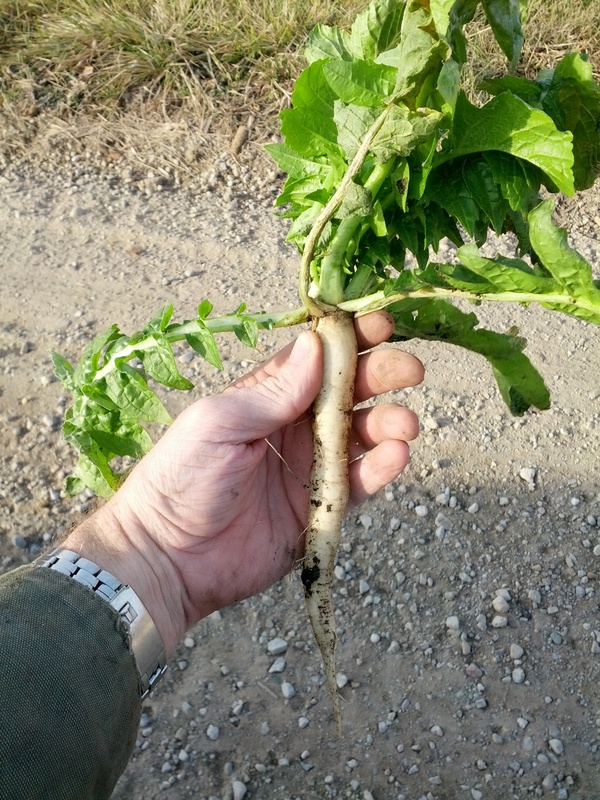 I’ve read about farmers seeing a 2-4bu increase in wheat yields where they tried radishes. I’m not sure why they didn’t grow very much. I would’ve thought they’d grow better being drilled than flown own, but it was later and maybe with the drought the wheat beat our the radishes for water. A lot of ground coverage in this month’s John Deere “The Furrow”…. Oh yeah? I saw our latest copy on the office desk this morning. Haven’t had a chance to look at it yet. We’re in our 3rd year of cover crops, and we’re just deciding what we will plant this year. It’ll prob be a mix of Rye and Chickling Vetch and something else. We’ve had great luck with radishes. Those suckers work the ground into a great mellow seed bed AND kill weeds around them to boot. Deer just love them in the winter time. Just came from the Ryegrass Growers Annual meeting (where I met @MarieB41 IRL for the first time). 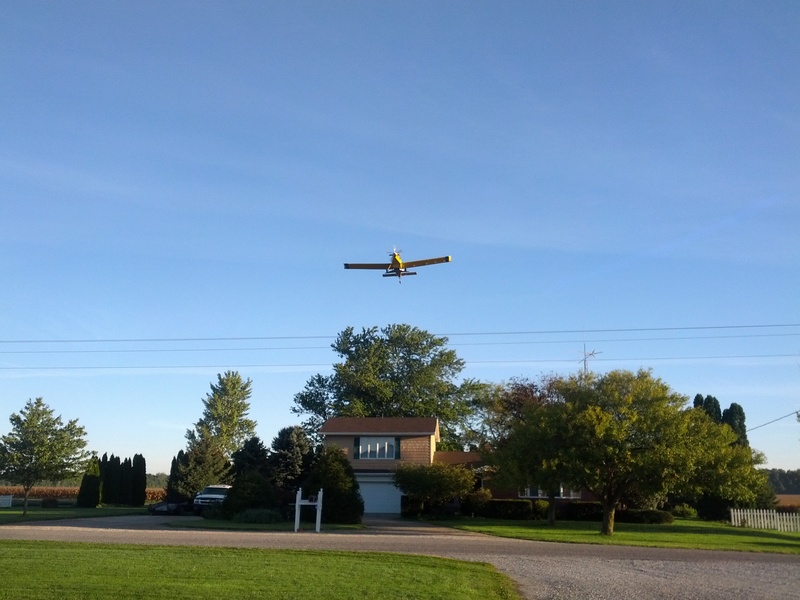 Annual ryegrass is a nice choice in many cases – improving soil structure, organic matter, and as a store of nitrogen. My world is in managing the soil microbes to breakdown that organic matter & have the little guys poop out nutrition for the plants. Good cover crops make healthy soil which results in me having a nice dinner tonight. 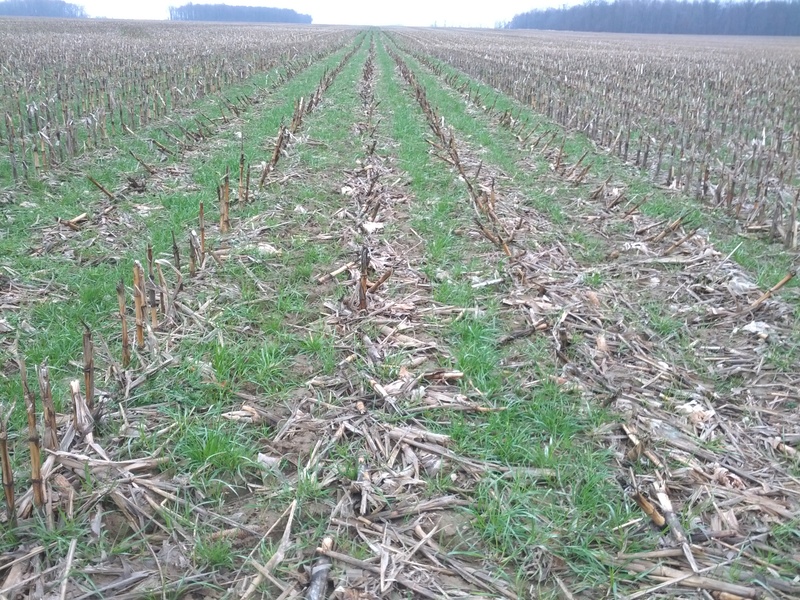 Pingback: Farming Smarter with Cover Crops « Biology Fortified, Inc.